Monitor Audio, a British based audio product company, has just announced the details on their updated Radius speaker range. The Radius series, with its compact ‘lifestyle’ cabinets, was launched 10 years ago. This year, the series will be updated with all-metal drivers for both midbass and tweeter units. 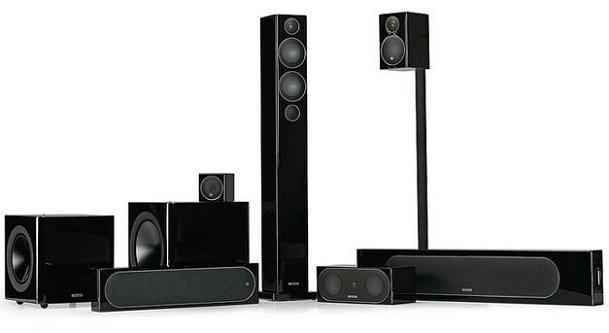 This new Radius speaker series includes the Radius 45 super-compact, 90 compact and 270 floorstander, along with the 225 centre speaker, Radius One soundbar, Radius 200 centre channel speaker, and the two compact active Radius 380, and Radius 390 subwoofers. C-CAM bass drivers are now used throughout the series , with dustcap-free concave cone forms. New 1-inch C-CAM tweeters with an improved crossover to better integrate with mid-bass drivers are expected to provide a smoother and more natural sound. Both new subwoofers feature new dual-driver systems with side-firing active and passive ABR C-CAM drivers. The Radius 380 uses 8-inch drives and the 390 incorporates 10-inch drivers. Settings include impact, music and movie EQ presets. The new Radius series from Monitor Audio is expected to be available this September . Look for more details at: www.monitoraudio.ca.